Since ancient times human beings have been afraid of snakes. And you can’t really blame them. 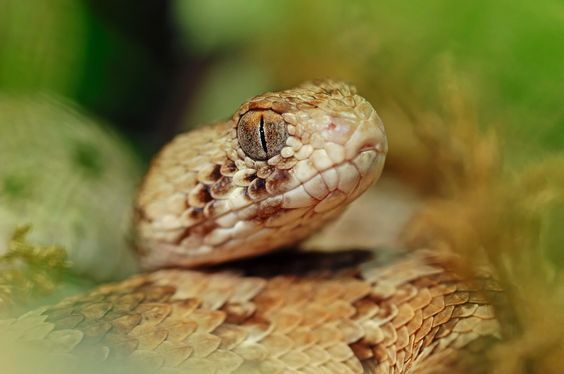 Snakes look dangerous, they hiss at you, slither around undetected and a bite from the venomous snakes can cause a painful death. While most of the snakes in this world are quite harmless and won’t really bite you, some of the snakes are extremely deadly. So in order to strike up your fear, here is a list of the most deadly snakes. The Saw Scaled Vipers are nocturnal snakes. They are mostly found in the Middle Eastern regions. They are usually very hyperactive and the reason for them being so deadly is that they are extremely quick. Their agility is their best asset and that’s what is so frightening. Their venom isn’t as powerful as the rest of the deadly snakes, but you need medical attention within an hour or two if you want to live another day.